1. Nixon's The One. NCAA opponents would be wise not to overlook the 49ers in general and senior forward Aaron "Mr. Big Shot" Nixon in particular. After a 74-49 loss to Temple on December 2, Long Beach State has won 22 straight, winning the Big West championship, where Nixon was named Tournament MVP. Nixon was the team's leading scorer in 11 games in the streak, including three games he won on last-second shots. Originally from Ohio, he attended Columbus State before transferring to another JC, San Bernardino Valley College, as a sophomore. "I wasn't sure I was going to graduate from junior college," Nixon said, acknowledging an aversion to studying. 2. Dream Weaver II. 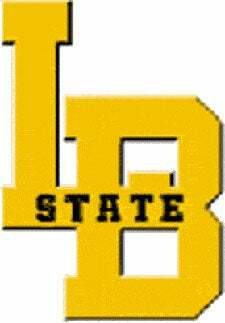 Long Beach State is the home of Jered Weaver, now of the Anaheim Angels, who is the younger brother of Jeff Weaver. Jered has the glory of gracing the cover of a sports video game (EA MVP '07). Another Long Beach State "Dirtbags" alum: Jason Giambi.